Bek Air, a private Kazakh airline, has acquired one more Fokker 100, and now has eight aircraft of the type in its fleet. The airline announced its plans to expand the type’s fleet to 12 aircraft within the next two years. The eighth Fokker 100 was delivered to Bek Air on financial lease, the airline’s spokesperson told Russian Aviation Insider. According to open sources the aircraft was produced in 1995. For operation in Kazakhstan it was registered with tail number UP-F1015. It is fitted with 108 seats, eight in business and 100 in economy class. 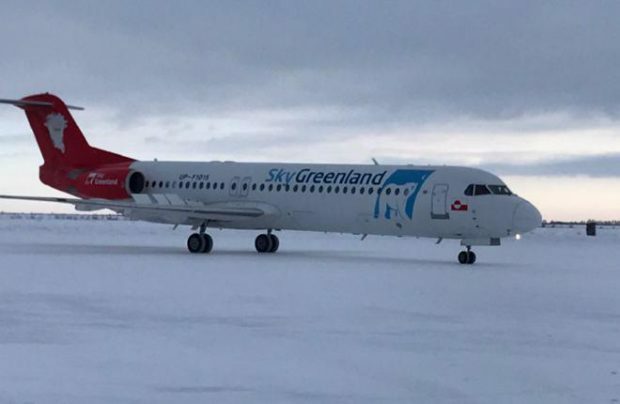 The aircraft was previously operated by Dutch carrier Sky Greenland. The airplane arrived at Kazakhstan on January 23 in the livery of its previous operator and was ferried to Ulyanovsk in Russia, where it will be repainted by Spektr-Avia company. The painting is expected to be completed in the first week of February and enter commercial service with Bek Air within one month. With the new aircraft in its fleet Bek Air will use six aircraft for domestic flights. One more aircraft is operated outside the country. In 2016 it was operated by Afghani carrier Kam Air. Another aircraft stands as reserve. Bek Air focuses mainly on domestic lines and positions itself as a Kazakh low-cost carrier. The carrier reported it had served 727,300 passengers in 2016, down 3.6% from the previous year, on 7,316 flights (down 18.7% year-on-year). “We still think the trend is a positive one, because the average load factor throughout 2016 was 92.09%,” Bek Air said. In 2016, in an interview to Russian Aviation Insider Bek Air’s spokesperson mentioned that a general decline in traffic numbers was evident in Kazakhstan. “Because of devaluation of the national currency the Kazakhs’ purchase power decreased. So we had to shrink and close down some flight, which were not commercially viable,” he said. However, the company emphasized it was staying in the black. The Civil Aviation Committee of the country’s Investment and Development Ministry has not yet published the official data on the industry’s 2016 results. In the period from January to September Kazakh airlines’ total traffic stood at 4.5 million passengers.